It was an interesting invite. A tasting of the 2010 Don Melchor; a new vintage release from the stable of Concha y Toro, one that has not been made available to consumers yet. And more tempting was the offer by the winemaker, Enrique Tirado, to present to the gathered wine enthusiasts a component tasting of wines from each of the seven plots within the Puente Alto vineyard; wines which contribute towards the final blend and makeup of a Don Melchor wine. 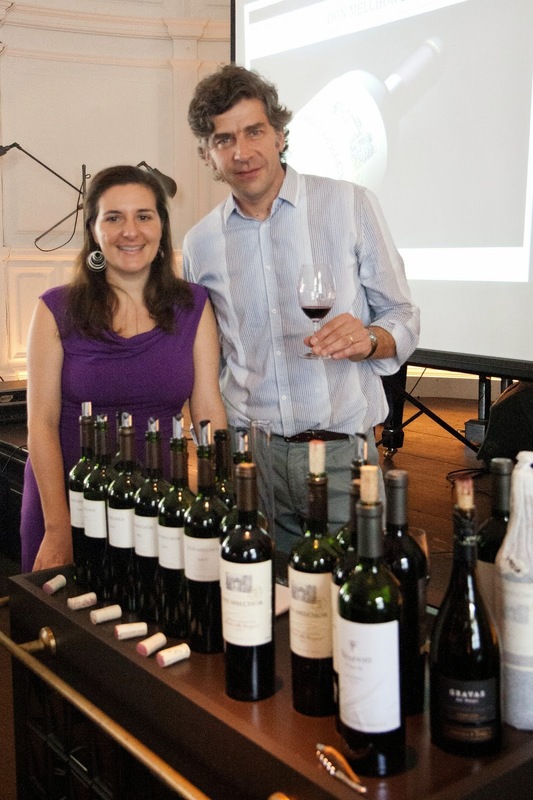 Winemaker Enrique Tirado (Don Melchor’s wine maker since 1997) was in town on 13 Oct to personally conduct this session together with Ms Annette Scarfe MW, who was at hand to share with us her opinion on the wines before us. 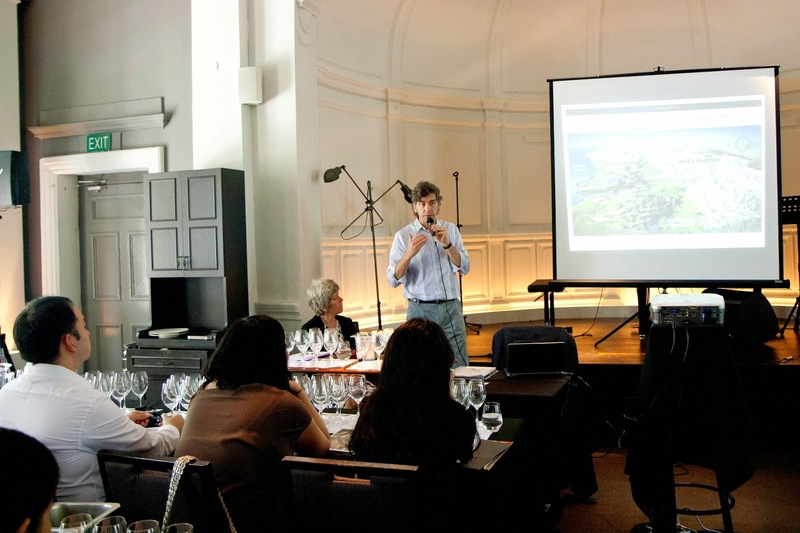 This wine session was organized by VCT Group of Wineries Asia Pte Ltd (a Singapore subsidiary of the Vina Concha y Toro Group). If you are a new wine enthusiast beginning to explore Chilean wines, one wine company you’ll soon come across is Guilisasti family’s Concha y Toro; and exploring the wines within its portfolio will lead you to the Don Melchor wine, a wine held in high esteem among its offerings. Enrique Tirado explains that with Don Melchor it is not the company’s aim to produce a well crafted wine. Rather, the goal is to produce a Cabernet wine which best expresses the terroir of Puento Alto, a location believed by the Concha y Toro folks as well suited for this varietal. The first vintage of this wine was in 1987. 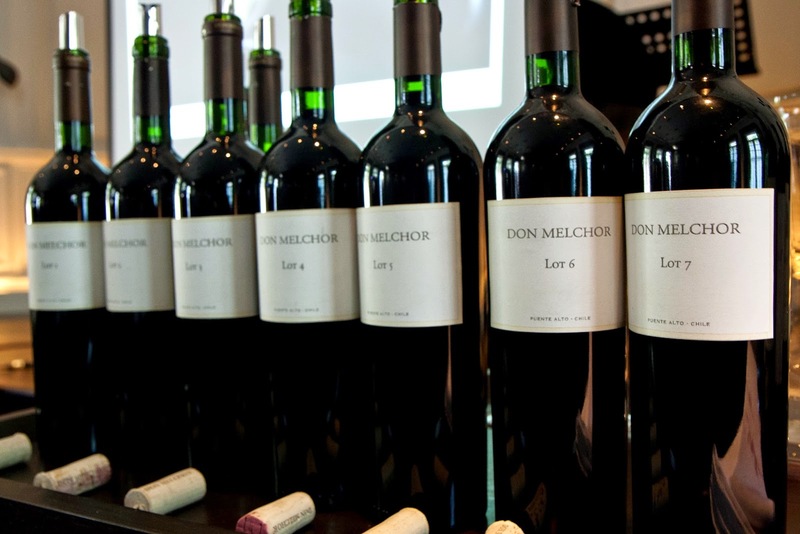 From then till the 1998 vintage, the Don Melchor wine was produced as a single varietal Cab Sau wine. The 1999 vintage was a blend made with Cab Sau and Cab Franc, while the year 2000 vintage reverted back to being a single varietal Cab Sau wine. From 2001 till the latest vintage (2010), the Don Melchor wines carry a small percentage of Cab Franc in them. The grapes for this wine come from the Puente Alto vineyard, a 113 hectares land area situated 650m above sea level in the Alto Maipo Valley (the coolest part of this valley). It is influenced by semi-arid Mediterranean climate. The warm days are contrasted by lower temperatures at night as a result of cold air descending from the Andes. This provides a long, slow ripening period which helps the grapes intensify aromas, concentrate fruit characters and still retain a good degree of acidity. The years spent in cultivating grapes from this vineyard has revealed to the winemaking team that not all harvested grapes share the same character profile. Slight difference in soil composition in different parts of the vineyard tend to influence differently the character profile of the harvest. Appreciating this, the team has gone on to divide the vineyard into smaller plots; each plot lending to homogeneous growth. Low yield is observed and hand harvest is practised. The Don Melchor wine is presently made with grapes coming from 7 of these smaller plots (6 subplots yield Cabernet Sauvignon and 1 pot produce Cabernet Franc). Each plot is harvested separately depending on the maturity of the grapes and vinified separately as well. Upon final blending, the wine is aged between 12-15 months in barrels made of french oak, followed by bottle aging for a year before release. Lot 1: Fruit driven leaning towards red fruits, soft, ripe tannins; soft body and easy on the palate; a vibrant wine that offers a pleasant finish. Lot 2: Black fruits flavours, tannins more prominent in body as well as a firmer body structure. Acidity can be felt within the body. Lot 3: Displays more black fruits than red fruits character, firm tannins in body, shows acidity. Lot 4: Good core of fruits showing in palate; displays some depth with ripe tannins; a rounded, smooth body texture, a good mouthfeel. Lot 5: Red fruits and spice notes, ripe tannins, approachable sip with a sturdy structure. Lot 6: Full body with dense black fruits, displays a degree of depth, acidity in palate adds to its vibrancy. Lot 7: (the Cab franc): Herbaceous note, ripe tannins and softer body when compared to the earlier wines. I must agree that these wines certainly did not come with a uniform personality. These little differences go towards contributing a different flavour, layer and dimension to the final blend. Enrique Tirado attributes this practice to the continued success of Don Melchor wines over the years in displaying a wine with good balance, rich flavours, complexity and great aging potential. The various awards and high points awarded to this wine over the years by Wine Spectator and Robert Parker go to highlight the consistency in quality and the international recognition it has garnered. We had the opportunity to taste both the 2009 and 2010 vintages. Both revealed a good concentration of fruits and balance within their body. The 2009 vintage (96% Cab Sau; 4% Cab Franc) displayed a smooth texture with an elegant body made up of red and black fruit characters. The 2010 vintage (97% Cab Sau; 3% Cab Franc) on the other hand showed a grainy texture with dense fruits and a long finish; its slightly rougher on the edge now, but I suspect this wine will evolve well with age. The Don Melchor 2010 is currently available EN-PRIMEUR only with a minimum order of 1 case (6 bottles) at an introductory price of S$594 (U.P.$930) till Christmas 2014. Deliveries to be scheduled around March 2015.